Oculus has officially unveiled its next-gen virtual reality headset at GDC. The Rift S, which features built-in Oculus Insight tracking technology, will launch in Spring 2019 for $399. According to the VR giant, the Oculus Rift S will allow gamers and tech enthusiasts to access the most immersive VR content available. It will work with the Rift platform from launch, and upcoming games such as Asgard’s Wrath, Defector, and Stormland are already confirmed for the platform. Oculus has partnered with Lenovo for the Rift S, and the VR headset features branding from both companies. 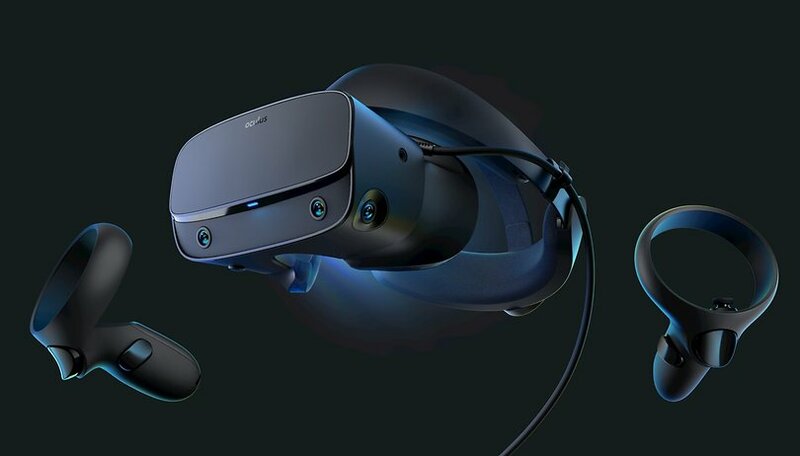 The Chinese tech giant has co-designed the Rift S, which brings increased comfort, better weight distribution, and improved light blocking, as well as a single-cable system for a clutter-free experience. The same audio system we saw on the Oculus Quest and Oculus Go is also on board. That means you will get a 3.5mm headphone jack to allow the use of third-party headphones. Oculus Insight is also back, just as on the Quest. The tracking technology works without the need for external sensors and allows users to navigate physical spaces in VR in real time. The headset itself features five sensors. Also supported are the Oculus Touch controllers, which have been redesigned for inside-out tracking. The Touch controllers were teased in a video earlier this month. Passthrough+, a true stereo-correct passthrough feature, utilizes core Oculus runtime advancements, including ASW. Oculus said that the has been designed to "produce a comfortable experience with minimal depth disparity or performance impact". The resolution of the display is 2560 x 1440 resolution, that's 1280 x 1440 per eye. The regular Rift comes in at 1080 x 1200 resolution per eye. The Rift S is still not quite as easy on the eye as the Quest, however, which manages 1600 x 1440 per eye with an OLED panel. Owners of the regular Rift will also benefit from this new release. The Rift and Rift S share the same core platform, meaning that, via software updates, Rift owners will also have access to games developed with the Rift S in mind. The price is competitive, matching the Oculus Quest at $399. The stripped back Oculus Go, which features 3DOF instead of 6DOF and only tracks one hand instead of two, costs $199. You can check if your PC is Oculus-ready at the company's own website.